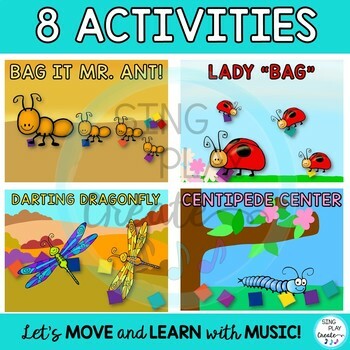 Buggy Bean Bag Activities and Games for Preschool, Music and Movement Classes. 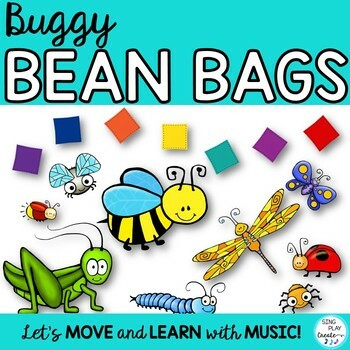 BUGGY BEAN BAG ACTIVITIES are perfect for the music and preschool classrooms. 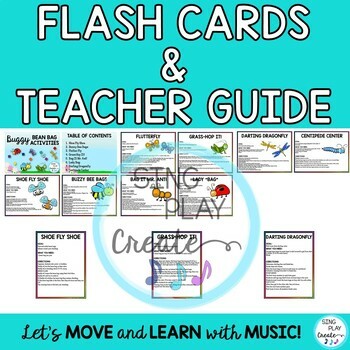 Show students the “bug” pictures and then play a fun bean bag game that will help all students connect music and movement skills while developing gross and fine motor skills. Best for Preschool through 2nd grade ages. Give your children the chance to play games, learn to work together, take turns and develop their movement skills. 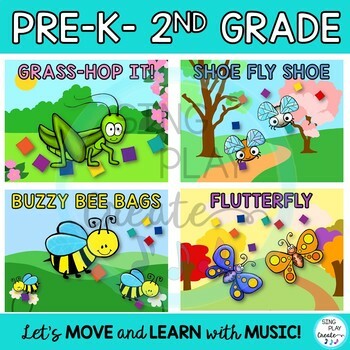 Connect nature with music and movement. Perfect for your spring science lessons.